The sheer versatility of the creamy avocado is demonstrated in our sublime recipe collection, from breakfast to lunch, dinner to dessert, the rich, buttery consistency of avocados makes them a luxurious addition to any dish. 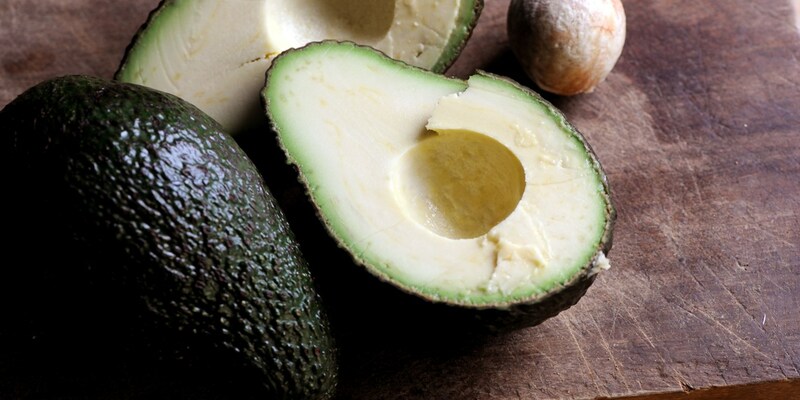 With bumpy or scaly skin (sometimes called “alligator pears”) and a large stone, avocados are actually a fruit, and as such are normally prepared and eaten raw to show off their vibrant green flesh, which looks particularly appetizing next to the pink tones of Steve Smith’s crab and smoked salmon salad. High in monounsaturated fats, they are an increasingly popular feature in desserts, and pair wonderfully with chocolate, such as in Marcello Tully’s avocado, lime and chocolate parfait. Hailing from Central America, it is the main ingredient in the Mexican dip guacamole, as its creaminess is the perfect foil for hot spices and crunchy textures, as shown in Matthew Tomkinson’s spicy veggie tacos recipe. You can also use them in this delicious Avocado pesto recipe from Rosana McPhee.